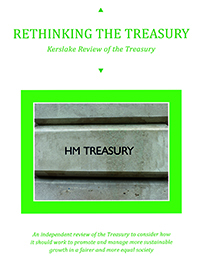 A new report on the future of the UK Treasury was published in mid February by an independent team of reviewers. SPERI submitted evidence to the review team. The team was chaired by Lord Kerslake and sought to undertake an ‘independent review of the Treasury to consider how it should work to promote and manage more sustainable growth in a fairer and more equal society’. The review was commissioned by the Shadow Chancellor of the Exchequer, John McDonnell MP. SPERI’s evidence is quoted twice in the report – at pp. 22 and 23.